Check out the Iron Range Tourism Bureau website. Sherwood Forest Campground 301 Ore-Be-Gone Dr.
Fuel is accessible by OHV from the park at three stations in the town of Gilbert, approximately 1.5 miles from the entrance of the State Recreation Area. 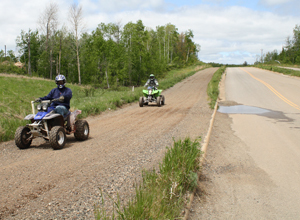 There are several OHV friendly hotels within 4-15 miles of the area. There are three sit-down restaurants in Gilbert. 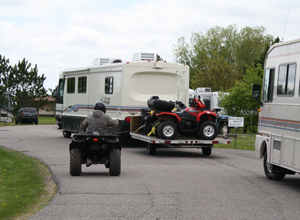 All are accessible by OHVs that are legal on city streets and are within walking distance of the city campground. The restaurants are located on Broadway Street the main street in Gilbert. More restaurants can be found in Virginia, MN. 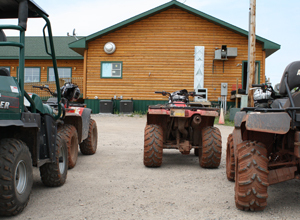 There are businesses that rent OHVs in Gilbert and Eveleth. Dealerships can be found in Eveleth, Nashwauk, Hibbing, and Tower. For more information visit Explore Minnesota Tourism.